Both Canon and Nikon have unleashed their new entry-level Digital Single Lens Reflex (DSLR) cameras. Both are affordable and offer entry points to higher-end photography. We tried out both and here is our verdict. First off, let’s be honest. Neither of these machines are rated as the very best from either manufacturers’ DSLRs. These are the entry-level machines. We judge them on some basic criteria to tell you which one to buy. he Canon scores well over here, despite having a bigger image sensor of 12.2 megapixels. The auto white balance mode does leave a slight bluish tinge, though, maybe because of the camera’s tendency to underexpose. But, with a couple of changes to the settings, the Canon delivered consistently good images, both in terms of colour and sharpness. 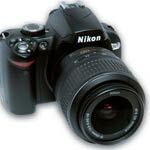 That is not to say that the Nikon did not deliver good images. It is just that almost all the time, the Canon images were better. The Canon, however, tops out at 1600 ISO. The Nikon has a setting for 3200 ISO, though images at such speed are quite grainy. Both cameras lack “sensor-shift” image stabilisation, which are offered by some competitors, and, instead, come with image stabilising lenses. Therefore, both cameras offer you the option of shooting at slower shutter speeds in hand-held mode. Image stabilising lenses are always better at longer focal lengths, but they also cost more. Both kit lenses were 18-55mm, but you can buy the bodies without the lenses. If this is going to be your first SLR, you could invest in either a 24-70mm or 24-135mm lens from a third-party manufacturer like Tamron or Sigma. Remember, these devices are not “full frame 35mm” cameras. Both these machines are lightweight, though the Nikon feels slightly better in the hand. In both cases, your little finger will be dangling off the cameras edge and looking rather forlorn. Again, the Canon’s software and settings are easier to manipulate if you are a newbie, but the Nikon, too, is fairly easy to play around with. The Nikon also has a party trick, called “stop-motion video” mode, where you can stitch together a sequence of JPEG images to create a neat video. Canon has a slightly better startup speed and does shoot faster, but the Nikon is a close second. Again remember, these are not highspeed professional cameras. Both devices use Secure Digital (SD) cards and are ready to accept higher capacity SD cards when they become available. You can buy a 2GB SD-card today for under Rs 1,000. With 12.0 and 10.2 megapixels, respectively, the Canon and Nikon both take full-size superfine JPEGs at around 4 megapixels apiece, so a 2GB SD-card should be good for 500-odd pictures. The Nikon D60 Wins This One Hands Down. With An Image-Stabilising Af-S Nikkor 18-55 Vr Lens, The Camera Costs Rs 39,200. 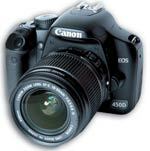 The Canon 450d With Similar Spec (Canon Lens) Comes For Rs 47,995. Verdict: We love the Nikon, since it is a wonderful machine and takes great pictures. The D60 will not pinch your wallet as much as the Canon. The Canon 450D, though, takes better pictures and is relatively easier to use. We would spend the 20 per cent extra on the Canon. But, if you are a total novice to the world of SLR photography, you can buy either device and feel good about it.